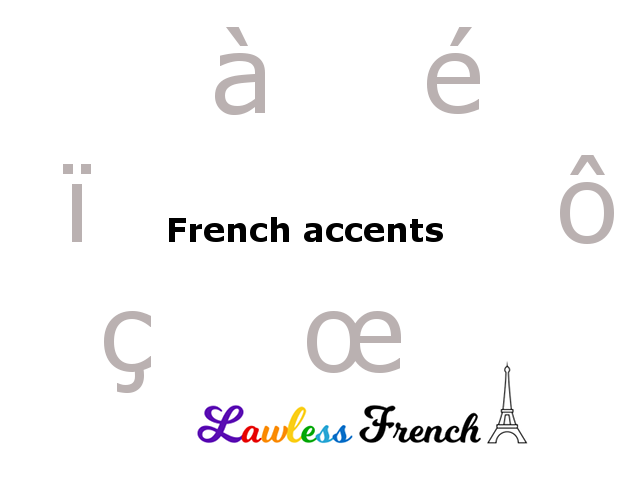 The dieresis, le tréma, is a French accent found only on two vowels: ë and ï. The dieresis indicates that the accented vowel must be pronounced distinctly from the vowel that precedes it; in other words, the two vowels are not pronounced as a single sound (like ei) or as a diphthong (like io). In two words, the tréma works differently, specifying that uë is to be pronounced as a single sound: [u]. Without the accent, both letters would be silent. In words borrowed from from Germanic and Nordic languages, like führer, länder, and rösti, the accent is not a tréma but rather an umlaut. Many people (including me, for a long time) use these words interchangeably—and incorrectly. Though they both refer to the two dots found on top of vowels, their purpose is different. Rather than indicating that the accented vowel is pronounced separately as the tréma does, the umlaut marks a historical sound shift.